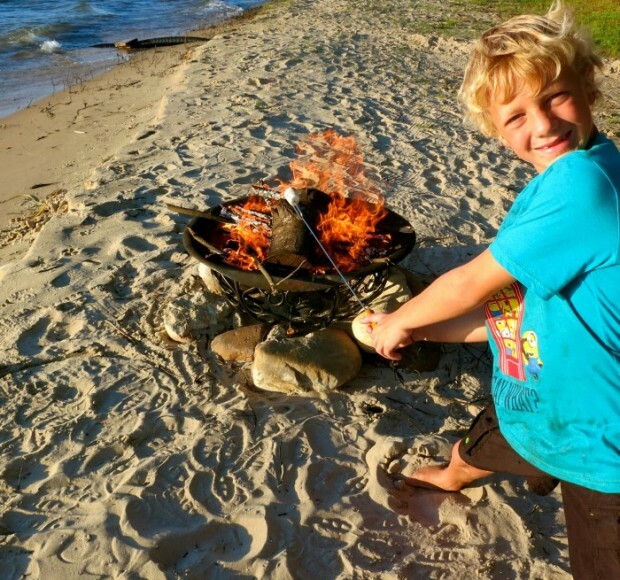 So what better way to celebrate Michigan’s gorgeous shorelines than with beach fires and s’mores. 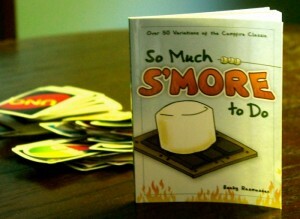 I was recently gifted a marshmallow stick set I’d been coveting with a companion s’more cookbook. What an inspiration! S’mores with a cream cheese and Limoncello base? S’mores with Vodka Jell-O shots? Kahlua Brownie S’mores? We’re not talking child’s play. No fire pit? Any ole’ grill will do. I made author Becky Rasmussen’s recipe for Strawberry Cream Cheese S’mores with Champagne, omitting the Champagne part; I was responsible for 5 small children. An official recipe is not needed. Simply spread cream cheese over your graham cracker, substitute sliced strawberries for the expected chocolate bar and slam a couple of well-done marshmellows on top. Done. Good eatin’. Fun recipes and reads; for me, those two things best complement a Michigan summer sky. Feeling pinched? Goodreads has a very cool feature called “Giveaways” that gives away free books in raffles. In fact, there is a Goodreads Giveaway currently running on my just published “Simmer and Smoke“. No gimmicks. Promise. Just click the “Enter Giveaway” link below, leave your e-mail address, and I’ll send you a book if you’re one of the twenty folks that Goodreads alerts me have won. To date, 519 folks have entered so your odds are 1 in 26. Not bad. 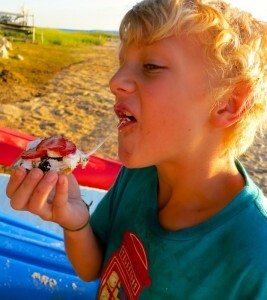 Who knew there was culinary inspiration to be found in the company of five small boys?!! One thing for sure, your post makes me want to high-tail it to the Lake! !